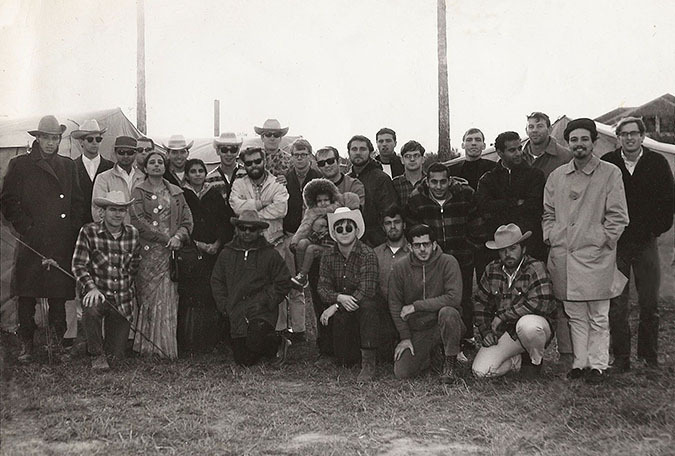 The Author and the rest of the Peace Corps trainees in his group pictured outside of Zapata, Texas near the border with Mexico in 1967. David is on the top row, third from the right. The Ardent Writer Press welcomes accomplished author and writer David Macaray with his memoir, How to Win Friends and Avoid Sacred Cows: Weird Adventures in India – Hindus, Sikhs and Muslims When the Peace Corps was New. David’s memoir is a group of random observations, at times hilarious, sometimes sad, but always engaging. 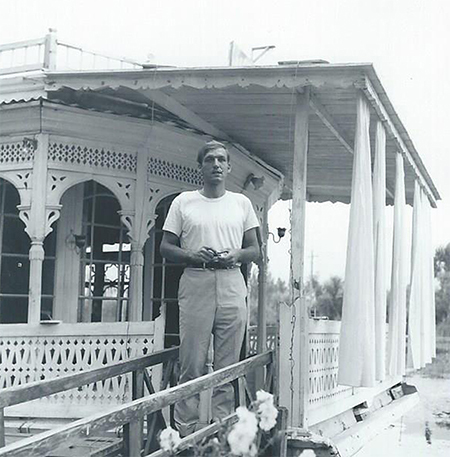 They reflect the experiences of his time in India as a Peace Corps volunteer in 1967-1968. His escapades in getting to know another country and its people are filled with insights for a time and a place where differences mean everything, but where a little understanding goes a long way toward making friends with just about anyone. AS A NINTH-GENERATION CALIFORNIAN who was raised in the suburbs of Anaheim (or as it came to be known, “Disneyland”), attended public high school and Cal State University—Long Beach, and was later to marry a pretty redhead from nearby Fullerton, the last place on Earth I ever expected to wind up was rural India. Farm country. But in 1967, I was sent there (to Punjab State) as a Peace Corps volunteer. The bucolic, outdoor environment was a jolt. I was ignorant of “farm life.” How ignorant? Well, for one thing, I had always thought butter was yellow. While the fact that milk was white, and butter was made from milk, should have been a fairly obvious clue, oddly, it didn’t register. All I knew was that the butter my mom served us at dinner was yellow. Yummy. Only when I saw “real butter” on an Indian farm did I realize it was white. And that was the moment I realized that my family—my parents, sister and I—had been “living a lie.” Alas, white butter turned out to be a blip on the screen. It was one of about 10,000 surprises that awaited me in India. This book—How to Win Friends and Avoid Sacred Cows: Weird Adventures in India—Hindus, Sikhs and Muslims When the Peace Corps Was New—is my account of those two amazing years in Punjab. I have never met nicer, more generous, more fascinating people than those I met in Indian. Nor have I ever lived in a more distressed environment. Of course, because that was 50 years ago, it goes without saying, that the entire subcontinent has changed radically in the ensuing half-century. How could it not? On the other hand, perhaps it hasn’t changed quite as “radically” as one might think. While India is still a magnificently vibrant country, it remains distressed in many ways. A brief look at my writing history: I’ve published two previous books on organized labor (along with a second edition of essays), and, as a playwright, have had more than a dozen stage plays produced. Nothing major or spectacular, just some modest productions done at small theaters in and around Los Angeles. I’ve also written approximately 600 political and entertainment articles for places like Huffington Post, CounterPunch, LA Times, Philadelphia Inquirer, New York Press, Utne Reader, et al. Or as one snarky observer put it, I’ve written the same article 600 times (people can be so cruel). My appearance at Ardent Writers Press was serendipitous. All I knew about Alabama was that Harper Lee and Mark Childress came from there, and that the university had a great football team. I am joking, of course. Still, as far South as I had ever traveled was Texas. I had checked out the Ardent website, was impressed with it, and thought, what the heck? So I sent out a standard query letter along with a short sample from the manuscript, and the next thing I knew, Editor/Publisher Steve Gierhart contacted me. We began exchanging emails. And Sacred Cows is the result of that exchange. Thanks for the opportunity, Steve. Best move I ever made. David Macaray has written for, among others, LA Times, Philadelphia Inquirer and Huffington Post. He and his wife, Marilyn, live in Rowland Heights, California. ONE CANNOT UNDERSTAND how much Americans take for granted until they visit a country like India. When David Macaray returned to the United States in January, 1969 after two years as a Peace Corps volunteer, he better appreciated his country, and certainly theirs. David often reminisces on the customs, events and people he left, knowing that they affected him, transformed him. Even today, a scene in America will force a comparison to a personal experience of his time there. So he decided to write it down. Unlike 1967 when David left for Punjab as a “tubewell engineer,” his America is becoming more like India which for centuries has had an uneasy balance between Hindu, Sikhs, and Muslims. Maybe it’s time we put ourselves in the shoes of our neighbors across the street who talk funny, wear outlandish clothes, and seem utterly “Non-American.” Just like the place David Macaray visited where differences mean everything, but where a little understanding goes a long way toward making friends with just about anyone. How to Win Friends and Avoid Sacred Cows – Weird Adventures in India was published by The Ardent Writer Press in December 2016. The link to Amazon for the paperback version (COLOR interior) of How to Win Friends and Avoid Sacred Cows – Weird Adventures in India is HERE. The link to Amazon for the paperback version (black and white interior) of How to Win Friends and Avoid Sacred Cows – Weird Adventures in India is HERE. The link to Amazon for the hardback version (COLOR interior) of How to Win Friends and Avoid Sacred Cows – Weird Adventures in India is HERE. The link to Amazon for the eBook Kindle version of How to Win Friends and Avoid Sacred Cows – Weird Adventures in India is HERE.